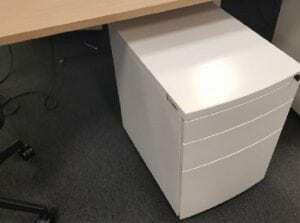 These White Metal Pedestals come with 3 lockable drawers, fit under your desk and are in very good condition. The filing drawer holds foolscap or A4 files. The used pedestals can be matched up with any suitably sized desks and are available for immediately delivery nationwide. Or, you can enter your details into our ‘Request a Quote Online Form‘ and one of our sales team will be in touch shortly. 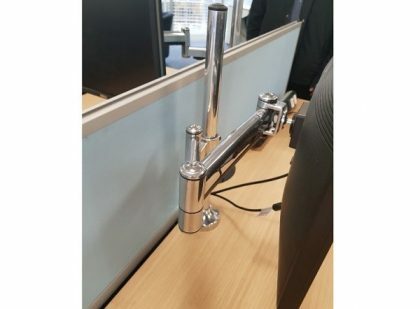 However, If these products are not what you are looking for, please view our full range of Second Hand Pedestals by clicking on the link provided. 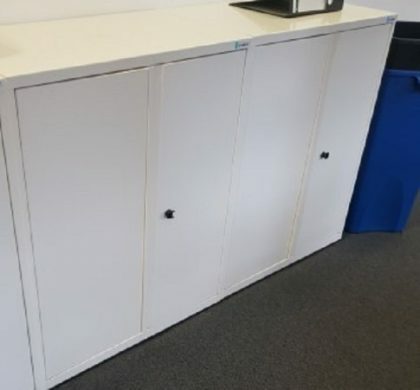 As always, these pedestals can be viewed in our showroom along with all our other used office furniture.